Information extraction is the task of finding structured information from unstructured or semi-structured text. 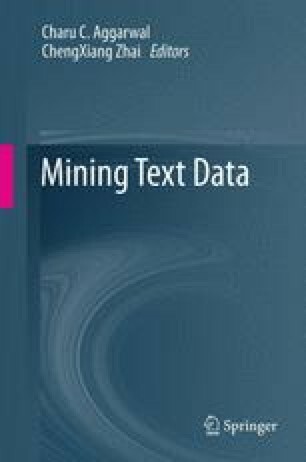 It is an important task in text mining and has been extensively studied in various research communities including natural language processing, information retrieval and Web mining. It has a wide range of applications in domains such as biomedical literature mining and business intelligence. Two fundamental tasks of information extraction are named entity recognition and relation extraction. The former refers to finding names of entities such as people, organizations and locations. The latter refers to finding the semantic relations such as FounderOf and HeadquarteredIn between entities. In this chapter we provide a survey of the major work on named entity recognition and relation extraction in the past few decades, with a focus on work from the natural language processing community.